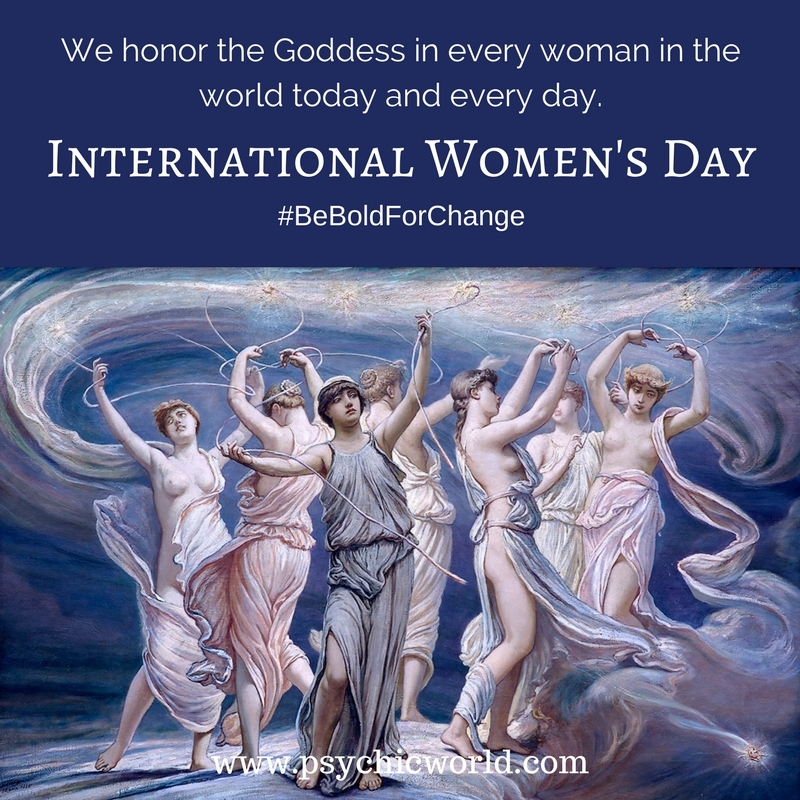 Today, on International Women's Day, we want to take a moment to honor the Goddess in EVERY woman. Women are connected to Source energy. They can house other humans. They nurture by instinct. They are strong and intelligent and driven and passionate. Unfortunately, though, there are many societies that still don't honor women in the same way as men. Women aren't paid as much. They don't get the same opportunities. They are victimized, overlooked, and left out of everything from access to education to politics. It isn't right. International Women's Day strives to close the gap between men and women. It works to celebrate the achievements that women make that might otherwise be overlooked. It shines a light on social and political issues that women, as a community, face. Will you #BeBoldForChange? You can sign up to help make real change in the society in which you life. Go to the International Women's Day site and sign up today! The movement is looking for change agents who are willing to volunteer to help advance women's causes, like challenging bias and inequality, standing up against violence, working to help women (and girls) have access to education, to celebrate the achievements of women around the world, and to help women advance and gain equal rights and protections. If you feel like this is your calling, then step up now and volunteer to help women.